Yayoi Kusama is about to apply a splash of colour to an unremarkable Tokyo suburb with the opening of a new museum dedicated to the avant-garde artist whose career spans six decades, tens of thousands of artworks and countless polka dots. The 88-year-old’s trademark motif – along with her familiar “infinity nets” and generously lashed eye designs – feature prominently at the museum, from its glass entrance to the interior of the lift and even the mirrored walls of the toilet. The five-storey Yayoi Kusama Museum, located among featureless apartment blocs in the Japanese capital’s western suburbs, has attracted huge interest before its public opening on Sunday. 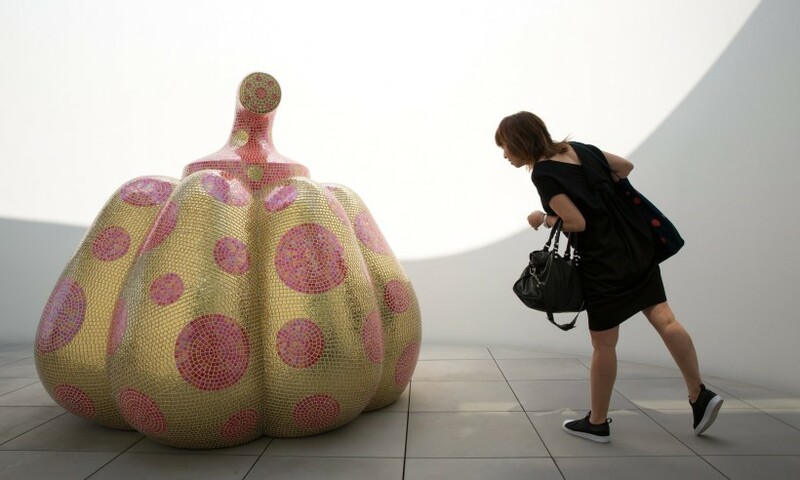 The global acclaim that has greeted what many believe is Kusama’s golden age has forced the museum’s owners to restrict the number of visitors, with just 50 people to be admitted four times a day for 90 minutes each.